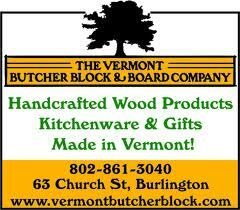 If there's ever been a business on the Shark Tank I would LOVE to visit in person the Butcher Block and Board Company based out of Burlington, VT would definitely be at the top of the list. David Glickman, is the owner of this custom wood company specializing in quality-made butcher blocks, knife blocks, Lazy Susan's, trays, wooden bowls, and rolling pins to name a few. All products are made out of premium quality wood found mostly in the Vermont area and one-of-a-kind functioning pieces of art. If you love just about anything made out of wood a much as I do, then your going to be interested in what David has to offer. The entire line of product that the Vermont Butcher Block and Board has to offer is mostly made out of walnut, cherry or maple wood. These hardwood tree's that all produce human editable fruit's' and nuts, do not have the toxic natural oils associated with other trees. Each unique cutting board or utensil is deigned for the natural grains and pattern in the wood to be highlighted and make for a one-of-a-kind functioning tool. They Never use any paints, stains or veneers to cover up the natural beauty of the wood and only use a clear finish that compliments the natural beauty. Since David and his family moved away from New York City 10 years ago and settled into Burlington to start a new way of life, things seem to be going very well for the Glickman Family. When they moved to Burlington and David ditched his corporate job to go into business for himself doing something that he loved and was passionate about, he also ditched his business ties and traded them in for tie die t-shirts instead. From what I gather from his Shark Tank Audition Tape, he so far had sales in excess of $2.7 million at that time. The main source of sales have come from the retail store and then Internet sales as his Brand continues to get recognized for quality and very unique wood products. The site has been professionally re-done and is ready for a flood of ordered once David shows the world what the Vermont Butcher Blocks and Boards are all about. According to his audition tape it looks like he will be seeking a $400,000.00 investment from one or more of the Sharks which is not out of line if he has current numbers to back up the initial evaluation. 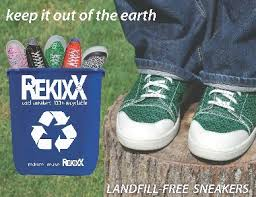 On the other hand, most unique one-of-a-kind products seen on the Shark Tank that can not be reproduced in great quantities, have not fared well on getting a deal. They have however invested in the entrepreneurs themselves if they spot the right qualities and figure they can make their investment back at a later date. 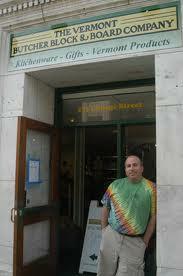 I'm not so sure David even needs to make a deal for the Vermont Butcher Block to be hugely successful at this point. He's going to get national press coverage and no matter what happens keep his employees on overtime just to keep up for a long time to come. After 10 years of successfully building this business on his own, I would imagine it would be hard to give too much equity away for $400k when he will already be swamped with new orders. Stay Tuned, this is one set of negotiations you don't want to miss! I just saw this guy, I think he's fantastic. I think Lori was the right one for this product, but failed to buy in. I'm a chef of 22 years, and I hate those god damned gimmicky anti-microbial cutting boards. They get beat up fast and their cuts are impossible to get chicken/meat out of, they're tough on knives, and there's just no feel with them. I hope this guy brings wooden cutting boards back. I'll dream of that day. God I hate plastic cutting boards. great company please keep making all your products don't listen to Kevin on the shark tank also don't over cellular company you have good quality! Great products, I'll be ordering soon. I loved your presentation on Shark Tank and Lori was wrong in her assessment of wooden cutting boards versus plastic boards. 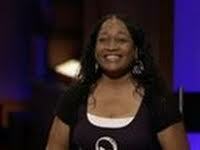 I absolutely loved your products seeing them on shark tank. I think they were wrong and really messed up big in not making an offer with you. I'm happy you didn't sell yourself short to try to make a deal with one of them. I hope you find someone who truly believes in you like I do or even better I hope you find unbelievable success on your own. I thought everything you had there was elegant and so beautiful and I can't wait to go to your website and do some shopping! 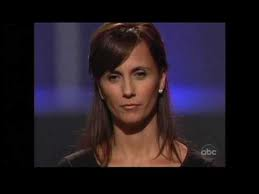 Lori was so wrong, and so smug about it. Why was she talking when she doesn't know her stuff? Often these sharks seem to forget they are experts...of investing. But they don't know every business, every product and she gave a prime example. Had to resist the urge to write or email Lori and let her know how off she is on the science behind plastic cutting boards. The tragedy is that a huge number of people will now be swayed by "her feelings" on wood v plastic, and will opt for those crap and unsafe boards instead of a beautiful and long-lasting product like the fellow's from Vermont..
Lori was WRONG wrong wrong! I love Lori, but my respect for her went down several notches when she tried to convince millions she knows plastic, (anti-microbial), is better than wood. Total garbage Lori! I didn't love the bloke, nor the desperation in offering more % even when everyone made it clear they were not interested. I personally did not think there was anything beautiful at all about his products, they are boring plain wood. However, in terms of functionality, he was right, they are exactly what he said and Lori convinced millions of morons that she knew better, even though she had no clue whatsoever!